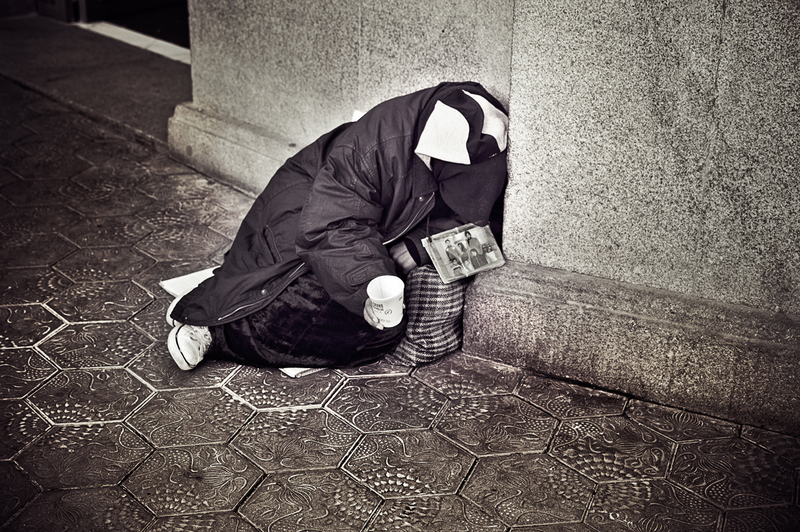 Portraying beggars in our images, shooting at them pointblank, is tough. One should always be aware that our mission is to denounce and not to profit on people's misfortune. No matter how good your intentions are, it will always be hard and there will be a thin line between photo journalism and privacy invasion, between social report and unnecessary overexposure of the weak. Who are we to judge? No one.Will it help grow awareness? Certainly, yes. The camera is just a silent witness, a mere reflection of an instant in our collective reality as captured by one individual. There are so many moments out there that need to be recorded for our collective mind to be more self conscious! I have had the good fortune to see some of the world. These images, these experiences are inescapable. The photographs can be powerful but he personal contact is much more so. When I see the orderly encampment of homeless in Ueno Park in Tokyo, an amputee in Nepal whose face is written with despair, the same woman wearing a hijab and modest Muslim coat that Chicago DP's Blue Chic and I have both photographed in her city, or a child, alone, under a pile of blankets opposite a cathedral here in St. Louis, I simply melt. I am too small to wipe it all away. Thank you for the powerful image.